New Image Software iOS Mobile Options. 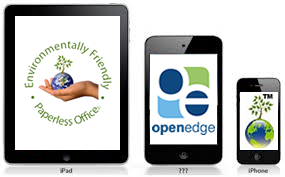 While many field users still use a laptop or Tablet PC, most New Image Software subscribers opt for the popular iPhone, iPad or iPad Mini. With these easy-to-use devices, administrators have the option of restricting technicians and sales staff to seeing only those calls assigned to them on a particular day. If a worker calls in sick, the office can instantly reassign the day's route to another technician without affecting future schedules. The way everything works is this. Office workers create orders in the normal manner and assign appointments to their field technicians. Techs then view their appointments. When they click on an appointment, the associated service ticket opens, ready to fill out on their hand held device. Since the client's information is already entered, all they have to do is enter chemicals used, services performed, target pests, locations treated and tools involved. Technicians can report on up to 120 bait stations on each service ticket so it works great for IPM. They can even clock in and out letting office workers observed their progress. As the client signs the acknowledgement, staff can see the signature automatically appear on their desktop screens. Mobile owners and managers can use an iOS device to manage their entire team, INCLUDING the ability to edit schedules, reassign calls, create new customers or search a client’s history. While this could all be done on an iPhone, due to screen size, most managers will probably choose to work with an iPad or iPad Mini. Where available, 4G wireless connections are recommended for all field users. 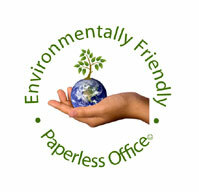 Welcome to the Paperless Office of the future....TODAY!